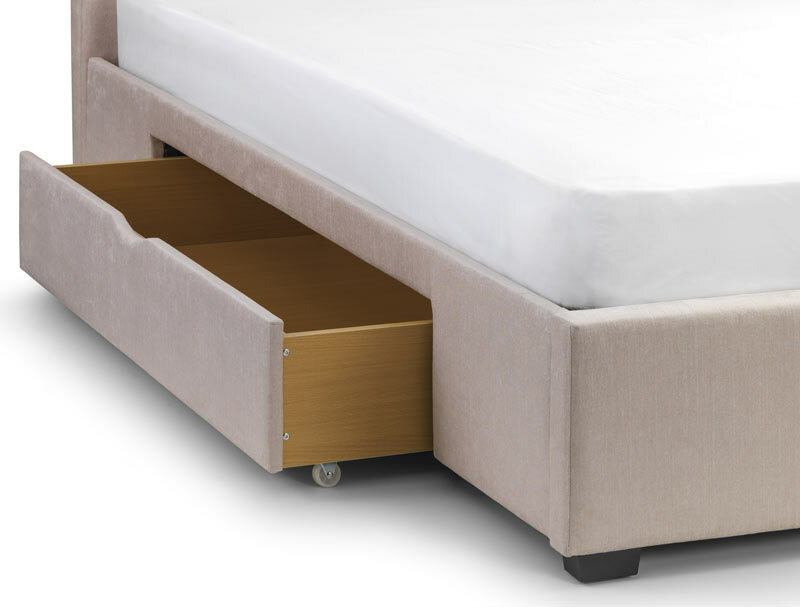 The Gentile bed frame has been very popular so it is no surprise to see this bed has been introduced with storage drawers like the Raverne The Gentile is offered with two large storage drawers that run independently from the frame on good strong castors offering good storage space. 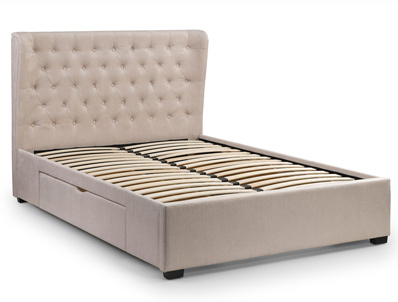 The Geneva bed frame is available in a pearl colour fabric and is offered with a tall upright buttoned headboard that has wings and a low plain footboard. It comes with a sprung slatted base and sits on square dark wooden block feet. The Geneva bed frame is available in double & king size and is delivered direct from Julian Bowen by their own dedicated delivery team, normally within 7-10 working days to most mainland postcodes, some postcodes may take longer and incur a small delivery charge.